Plot: chronicles the story of an ex cop and his girlfriend who engage in bank robberies all over town. Reality: Based on real life Bonnie and Clyde team Jill and Jeffrey Erickson. Both of these movies are based on the bank robbing spree of suburban Chicago's Jeffrey Erickson and his wife Jill Erickson. 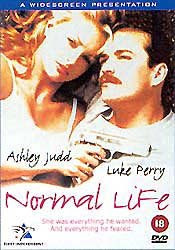 *when the movie "Normal Life" came out in 1995, there was lots of anger. 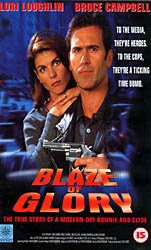 The Police and the families of the victims were angry because they felt that the movie made the killer out to be a hero. In their opinion the movie failed to show the anger and despair the families felt upon losing their loved ones.